On Sunday Kiev’s city center was the host of the annual Pride Parade. This year’s edition gathered a record-high number of participants. Before the event, 56 people were arrested after a clash between nationalists and law enforcement. About 6000 people gathered in the streets of Kiev to march for LGBT+ equality. Amongst them was activist Ulyana Movchan (Insight NGO): “Despite the threats, I felt happy. For once, LGBT-people felt themselves safe in the streets of Kyiv. It is encouraging to see that the Pride is growing every year”. The Pride was being guarded by 5000 police officers. 2500 of them formed a human chain to prevent LGBT-activists from being attacked by nationalists. Getting in the secured area was only possible by passing through metal detectors. After the event, all participants were dragged into the subway. They were brought to an unknown location outside the city center, so no nationalists could await them outside the secured zone. 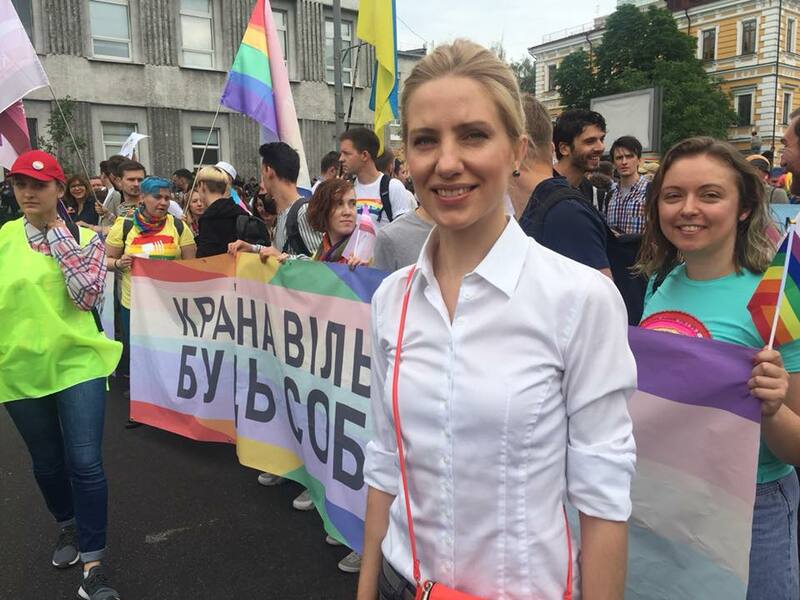 The organisation of the Pride asked the participants to not go back to the city center. The organisation expected nationalists to await LGBT-activists there. Member of the European Parliament Rebecca Harms (The Greens/EFA) also participated in the Kyiv Pride. A nationalist group, called C14, tried to prevent the Pride from happening. About 150 nationalists blocked the streets where the Pride was going to happen. Later there was also a clash between nationalists and the police nearby the Opera House. The Ukrainian Police detained 56 people there. Several police officers were injured.